#BeFirst is the worlds FIRST Neuro Performance App. Designed to put what you need into your pocket. Targeted training specific for sports men and women who want to get the edge on the competition. Every athletic movement and decision is made in the brain. 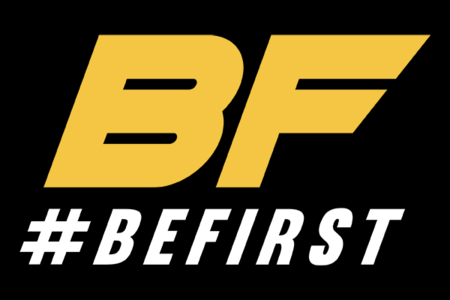 #BeFirst targets the specific reactions and skills that every athlete needs and eliminates the need for large equipment. Use the #BeFirst GUIDE for detailed information on how to use every feature to get the absolute best out of #BeFirst. Performance Neurology is breaking ground in athletic performance and this is only the tip of the iceberg. If your not first to it, then who will be? Fads come and go, THIS is calculated science. We are slaves to the brain and nervous system. #BeFirst is designed to target sports specific skills over and over again, where it matters MOST. Your BRAIN. Winners don’t leave anything to chance. Get #BeFirst before your competition does. #BeFirst. An extension of your arm, an extension of your performance. #BeFirst is a free download, and includes a visual reaction test available for free. Monthly subscriptions are billed once per month, 3 monthly subscriptions are billed four times per year, 6 monthly subscriptions are billed twice per year and an annual subscription is billed once per year. Subscription renewals cost the same amount as the original subscription and your credit card will be charged through your iTunes account at confirmation of purchase. Subscription automatically renews unless auto-renew is turned off at least 24-hours before the end of the current period. Account will be charged for renewal within 24-hours prior to the end of the current period, and identify the cost of the renewal. Subscriptions may be managed by the user and auto-renewal may be turned off by going to the user's Account Settings after purchase. Refunds will not be given for any unused portion of the term.